on how to fight at your appeal hearing! If you’re like many residential or commercial property owners in Texas you know that the appraised value of your property continually increases… and your annual property tax bill increases. 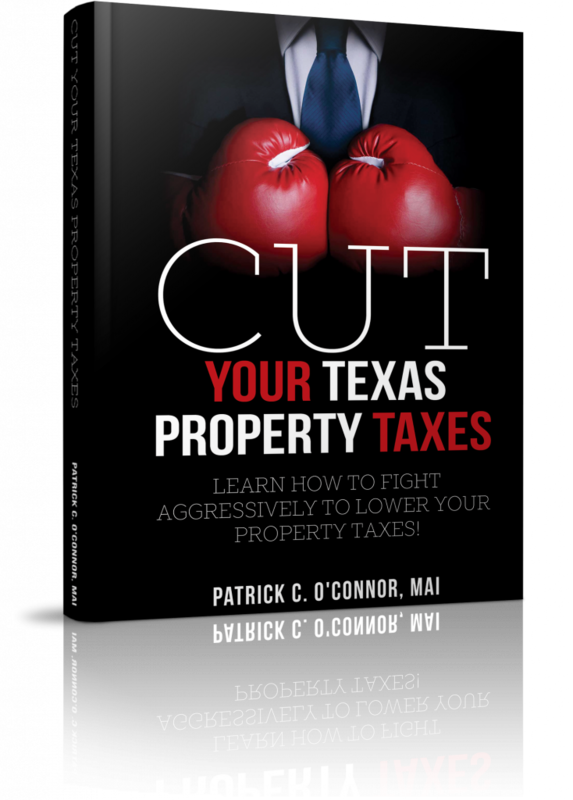 In “Cut Your Texas Property Taxes”, real estate expert and certified appraiser Pat O’Connor, M.A.I., has updated his 2001 edition to give you the information you need to fight the appraisal district and lower your property taxes. It’s been estimated that well over 50% of property appraisals are overvalued. The book outlines many of the reasons for this occurring and outlines the steps you need to take. And, since the deadline to appeal your property taxes has changed to May 15th (from May 31st last year), learning what you need to do is even more urgent. Get your free copy of “Cut Your Texas Property Taxes” now!